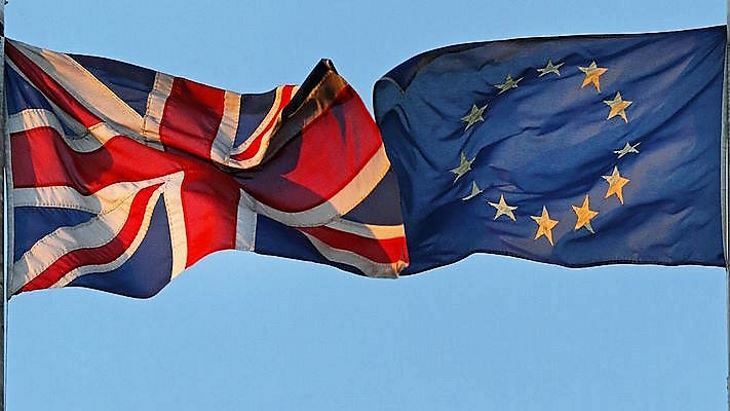 Introducing the first 25 of a series of technical notices yesterday, Secretary of State for Exiting the European Union Dominic Raab said reaching an agreement before the UK leaves the EU on 29 March 2019 remained the government's "overriding" priority. Although a so-called "no deal Brexit" was unlikely, "[w]e have a duty, as a responsible government, to plan for every eventuality," he said. The technical notices being issued by the government "inform people and businesses in the UK" about what actions may be needed if an agreement is not reached. "The notices are practical and proportionate," he said. The technical notice on civil nuclear regulation covers nuclear safeguards; ownership and movement of nuclear material, equipment and technology; management of used fuel and radioactive waste; and reporting and notifications to the European Commission. The European Commission currently implements nuclear safeguards in respect of nuclear material for all EU countries including the UK. In the absence of a deal, a new domestic nuclear safeguards regime will come into force on the UK's exit from the EU, the document says. This will be run by the Office of Nuclear Regulation (ONR) and is not dependent on there being a deal with the EU and Euratom. UK operators have already been invited to submit their views on the draft safeguards regulations under a consultation launched in July by the Department for Business, Energy and Industrial Strategy. All special fissile material - plutonium-239, uranium-233, uranium enriched in the isotopes 235 or 233 or material containing them - in the EU is currently legally "owned" by Euratom: operators have the right to use material to which they hold legal title only if they comply with obligations under the Euratom Treaty. If there is no deal, after 29 March Euratom ownership of special fissile material in the UK will end and the UK will have full ownership from that date. Euratom Supply Agency approval would no longer be required for contracts agreed by UK operators unless they involve an "EU-27" established operator. Some existing contracts - including those which have a supply period extending beyond 29 March 2019 - will therefore need to be re-approved as a result of the UK's withdrawal. In the absence of a deal, operators may need to obtain licences to import nuclear materials from EU countries, for which an import licence is not currently needed. Operators would still, as now, be required to obtain export licences for certain sensitive nuclear materials, facilities and equipment to EU countries. Bilateral nuclear cooperation agreements with third countries - some of which have already been signed - are on track to be completed before the UK leaves the EU, the guidance notes. "This will ensure that civil nuclear trade can continue unimpeded," it says. The UK's current arrangements for the reprocessing of used fuel and the treatment of radioactive waste will continue after the UK's withdrawal from Euratom, but the process for authorising new shipments of such materials from the UK to EU countries will change. In the absence of a deal, UK operators will no longer need to receive a positive opinion from the European Commission before going ahead with radioactive waste disposal plans, nor will they need to inform the Commission of investment projects in the UK nuclear sector. As a net contributor to the EU budget and a member of Euratom, the UK currently is a participant in the Euratom Research and Training programme. Through this programme, UK organisations and scientists collaborate internationally on a range of nuclear research projects and facilities including the Joint European Taurus (JET), located at the Culham Centre for Fusion Technology in the UK; the International Thermonuclear Experimental Reactor (ITER) fusion project; the European Commission's Joint Research Centre; and also indirect actions. The UK has already negotiated to continue to take part in all EU programmes during the remainder of the programme's current framework, which is expected to run to 2020, under a draft of the Withdrawal Agreement that has already been signed off. However, in a "no deal" scenario, the UK would not be able to continue to be a member of the Euratom programme and would no longer be able to collaborate on the ITER project through the EU. "The UK government is committed to nuclear research. This will mean continued domestic research, as well as its other international partnerships, to ensure the UK retains its world leading position in this field," the technical guidance states. In a "no deal" scenario, the government will fulfil its stated commitment to continue to provide funding for its share of JET costs until the end of 2020, subject to the EU Commission extending the JET operating contract until then. "When the Joint European Torus operating contract ends, the UK government is willing to discuss options to keep Joint European Torus operational until the end of its useful life," the document notes. UK organisations would no longer receive future funding for projects under EU programmes, but the UK government has already committed to guarantee EU projects agreed before the country leaves the EU. This guarantee means that in a "no deal" scenario, at which point the UK will assume third country status, the UK government will guarantee funding for eligible, successful bids until the end of 2020 for UK organisations who successfully bid directly to the EU for competitive grants under the Euratom Research and Training programme. The bilateral nuclear cooperation agreements that the UK aims to have in place by March 2019 will facilitate continued, unimpeded nuclear research cooperation with such countries. UK businesses would not be able to bid for ITER contracts through Fusion for Energy but the government "is willing to discuss with ITER opportunities for UK researchers, companies, and institutions, to collaborate on this critical experiment," the document says. Tom Greatrex, CEO of the UK Nuclear Industry Association, said the publication of the "no deal" technical notices underlined the scale of work still required to put contingency plans ahead of a "challenging" March 2019 deadline. "While the government and UK nuclear power sector has made good progress in replicating Euratom arrangements in recent months, there's no room for complacency and much remains in the control of the UK government to deliver," he said. "The government has rightly acknowledged the considerable global benefits of collaborative scientific research, including in nuclear fusion at the world-leading facility in Culham on Oxfordshire. To enable continued UK industry involvement in ITER, then a formal association with Euratom should remain the objective. "It is clear the most desirable and least disruptive course of action for both the UK and the EU is to conclude a sensible, rational and logical long-term association between the UK and Euratom, with a transition period to enable new arrangements to successfully bed in. We will continue to work closely with both the UK government and the European Commission to encourage the smoothest possible transition out of Euratom," he added.